purchasing up front–no vehicle purchase necessary! Whether you’re buying, leasing, or simply looking to service your current vehicle, pre-paid maintenance can save you up to 60% in regular maintenance costs. Simple and affordable, the Buy Happy® Assurance Pre-Paid Maintenance Program allows you to personalize your coverage by selecting the level of care and items you want to be included – and best of all, everything is performed by factory trained technicians. 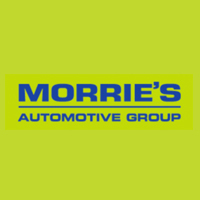 Peace of mind; yet another way Morrie’s helps you to love your car! Ideal for vehicles that require synthetic-blend oil. †Valid on Morrie’s Service Contracts up to $100. Ideal for vehicles that require full-synthetic oil. *Based on retail price. †Valid on Morrie’s Service Contracts up to $100. ††With major service. Ideal for vehicles that require diesel fuel.